3M Scotchcast™ Multi-mold resin splice kit includes flexible film plastic mold, electrical insulating resin 2104, pressure-sensitive adhesive film sealing strip and a comprehensive instruction booklet. The kit find is suitable for direct burial applications, underground systems, joining of cable reel ends, cable failures and dig-ins, secondary distribution, plant ground, parking lot, airport runway lighting, electric sprinkling system, sheath repair, remodel wiring and sealing anode lead. 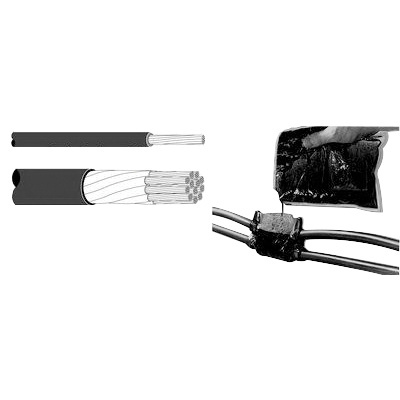 The splice kit helps to electrically insulate odd-sized and odd-shaped splices on cables.